Spread each bread slice with 1 1/2 teaspoons Cinnamon Sugar Butter Spread. 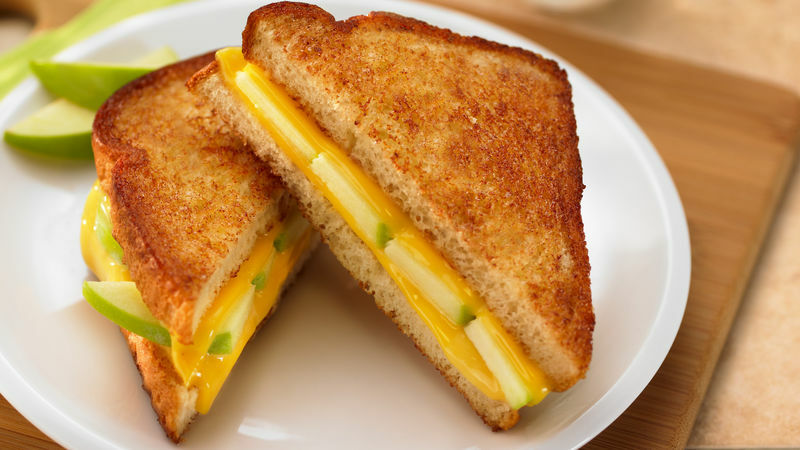 To assemble sandwiches, layer 4 bread slices, buttered-side down, with 1 slice cheese, 1/4 apple slices and 1 slice cheese; top with remaining bread slices, buttered-side up. Heat 10-inch skillet or griddle over medium-high heat. Place sandwiches into skillet. Cook, turning once, until sandwiches are golden brown and cheese is melted (6 to 8 minutes). Everyday grilled cheese is enhanced with the flavor of cinnamon and apples.